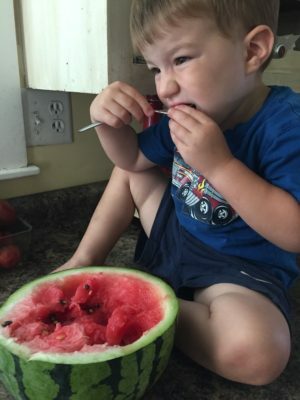 July is the halfway point, or halftime in our farming game, as Nate likes to call it (his work ethic is that of a football game – I think it keeps him young!). Everyone is hot. Everyone is tired. But everyone sure is eating well with all of the veggies our farm is able to produce! Tomatoes are on the top of the list of what everyone wants and it’s a good thing we can grow those! This last week we delivered over 1800 pounds of tomatoes to members and restaurants. 1800 pounds!! A lot of time is dedicated to those plants; pruning, trellising, fertilizing. If you follow us on Facebook, you saw the recent video taken of our “Farm-hers” harvesting cucs and zucs on the Fourth of July. We have a team of all women here this year and they are working harder than ever for us. The good news is for them, and us…we have three new crew members! They are from Mexico and are here for just a few months on a migrant worker’s program. We aren’t fluent in Spanish by any means and are thankful to have Google translate to help us! A lot has been put on the back burner because we have been short handed all season long, and we are so thankful to have them here! shavings (there were recently a few roads replaced in Rossville). 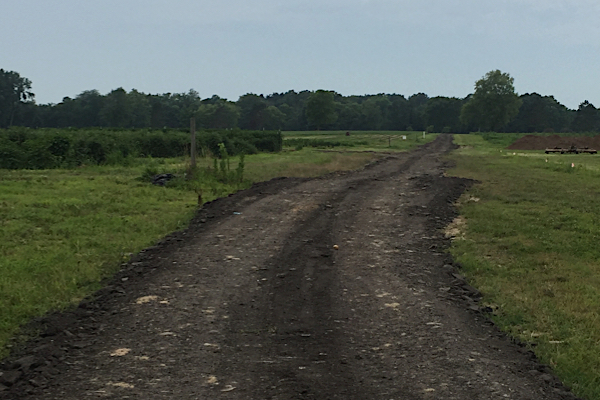 The main path we use to get from one end of the farm to the other was a dirt path and full of potholes. But not anymore! The town hauled and spread loads and loads of asphalt shavings here! Enough to cover the whole path! We still have some shaping and smoothing to do, but wow, what a way to recycle material! The watermelon and cantaloupe crops look good this year! We often have trouble with disease on both of these crops, so we’re happy to see the plants thriving. Colored bell peppers are quickly ripening and we will probably have canning tomatoes in August for those who like to preserve! We tried a few new varieties of winter squash this year – just wait until you see the size of our Delicata squash! They won’t be harvested until September, but they are beautiful! August 25 is our annual farm to fork dinner. It falls on the day of Rossville’s Summer’s End Festival and there will be fireworks to watch after we enjoy our meal! BYOB Cocktail hour starts at 6:00 pm, dinner at 6:45.